Dramatic changes are needed to improve care for all Canadians at the end of their lives, says a new, first-of-its-kind report released by Health Quality Ontario. Even though Canada has a relatively high rank in “quality of death” internationally, hundreds of thousands remain without access to coordinated end-of-life care, according to the report. Only 30 percent of people with chronic illnesses have access to team-based palliative care, with the majority being cancer patients. Health Quality Ontario (HQO) is the provincial adviser on the quality of health care in Ontario and an arms-length agency of the provincial government. HQO’s comprehensive, evidence-based report says the issue will become increasingly important as Canada’s aging population pushes the number of people dying to 330,000 per year by 2026, a 40 percent increase compared to today. In addition, each death will impact the life of five loved ones, so the total number of people impacted each year will be over 1.6 million by 2026. “The impact of high-quality care at the end of life is enormous—for patients, families, and the health care system,” Dr. Robert Fowler, an internationally renowned researcher and co-chair of HQO’s end-of-life expert panel, said in a press release. The report stresses the importance of a more patient-engaged approach to end-of-life care, which includes training professionals to discuss with patients the factors that help determine whether they will be able to die at home and encouraging patients to plan their care with their loved ones. “In order to guarantee the best care for patients, it is necessary to recognize that death is an intensely personal experience which must be guided through discussions in advance with medical professionals and loved ones,” said HQO president and CEO Dr. Joshua Tepper. The report calls for improvements in care for all those in need of end-of-life care in Ontario, regardless of the disease they suffer from, an increased number of health professionals trained in palliative care, and the need to “de-medicalize” death and dying in the province. Among its recommendations, the report lists several factors such as type of disease, functional status, hospital bed availability, and other criteria that health-care providers and patients can use to evaluate the feasibility of achieving the patient’s preferred place of death. 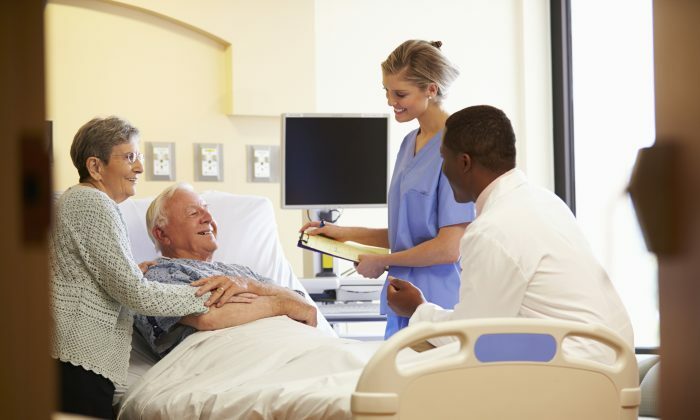 It also recommends that patients discuss their care planning and goals with their caregivers early and periodically. Research suggests that holding these discussions early on helps improve quality of care as well as patient and family satisfaction. Studies show that fewer than one in five patients have these kinds of discussions with their health-care provider. There is also a need for a team-based model of care, since many patients need a range of services to help manage their symptoms and support their physical, emotional, and spiritual needs. Health-care professionals should be educated in end-of-life care, the report says, and there should be broader public discussion about normalization of death so that people more openly talk about their end-of-life care preferences with their loved ones, doctors, lawyers, and other service providers. Greater education on the impact of CPR use on patients near their end of life is also important, as some may prefer not to undergo this intervention once they know more about the low rates of survival and low quality of life in the event of successful resuscitation. “It is our hope that a report like this will fuel a broader discussion of death as an important part of everyone’s lifecycle,” said Shirlee Sharkey, chair of the Ontario Health Technology Advisory Committee, co-chair of HQO’s expert panel, and CEO of Saint Elizabeth Healthcare. A study shows that asking patients one simple question may help the health professional develop more empathy.